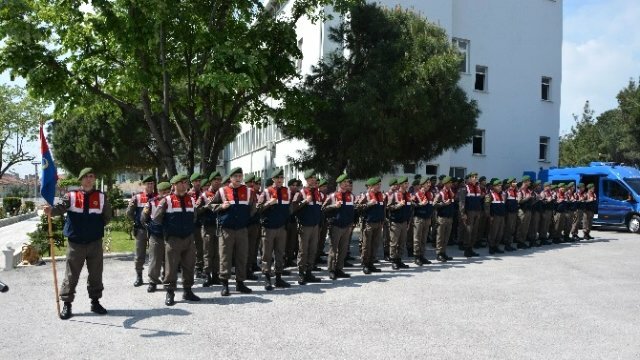 Turkey’s Interior Ministry on Thursday dismissed a total of 1,218 officers from the Gendarmerie Forces Command due to their alleged links to the faith-based Gülen movement, which is accused by the government of masterminding a failed coup attempt on July 15. A statement made by the ministry said 419 officers, 604 non-commissioned officers, 158 specialized gendarmerie sergeants, 28 specialized sergeants and nine civil servants have been expelled from their posts at the Gendarmerie Forces Command. The Gendarmerie Forces Command and the Coast Guard Command were transferred to the Interior Ministry from the General Staff in July. This article originally appeared in Turkish Minute on Nov. 3.